What can be said about CHARLIES ALE HOUSE that you don't already know? 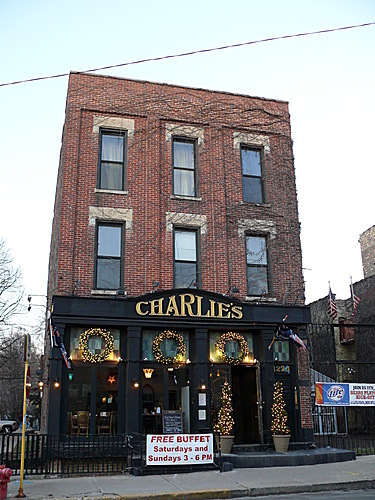 If you're in the area of North Clark Street, you've undoubtedly sampled the delicious food and drinks at Charlie's, and probably many times! They've been going strong since 2003, and for good reason. The decor and style of this establishment is unlike anything else you'll find in the area, and the service is nothing short of superb. In terms of the food, we really love the wings, and the mac and cheese is worth noting too! The drink selections are numerous, always perfectly poured, and the waitstaff is very knowledgeable about those selections too.